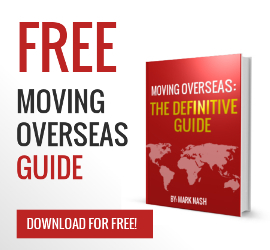 Moving Overseas? Read this before you go! Thank you Mark. Yes, I received my quote and have booked my shipment back to the US from Italy. In fact, I’m a repeat customer. UPAK should offer classes on how businesses should operate. Seriously, why is it that I can arrange to ship my household possessions half way across the planet easier than I can arrange the setup of my cable television service? Your company never fails to fascinate me. No bureaucracy. No silly games, hidden agenda of surprise fees. A fair price for the services offered. Moreover, you do it efficiently! It is so uncommon to find such service modernly that is a bit surreal to experience. And yes, feel free to quote me on that on any and all of your promotional material. Don’t ever change. Furthermore, Alicia is worth her weight in gold. She managed to arrange my shipment to Italy last year under the closest of turnaround times (literally with minutes to spare), and did it with style. Hold onto her at all costs. She has also been awesome arranging my return shipment this time. Pete is awesome too. Great turnaround time on the quote and the quote put smile on my face. Who would have thought that a shipping quote would make a guy smile. Bottomline Mark. You have a great company and great people. I think that speaks volumes about the leader.